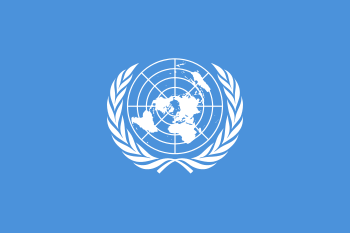 The United Nations Institute for Training and Research (UNITAR) was established in 1963 following a UN General Assembly resolution "for the purpose of enhancing the effectiveness of the United Nations in achieving the major objectives of the Organization through extensive training and research". The Institute’s training targets two key sets of stakeholders, mainly from developing countries: the delegates to the UN and others who develop intergovernmental agreements establishing global norms, policies, and programmes, and the key national change agents who turn the global agreements into action. Serving more than 36’000 beneficiaries per year, UNITAR conducts close to 500 training and research activities around the world. The work of the Institute is organized under five broad programme areas: Strengthen Multilateralism; Promote Economic Development and Social Inclusion; Advance Environmental Sustainability and Green Development; Promote Sustainable Peace; and Research and Technology Applications. 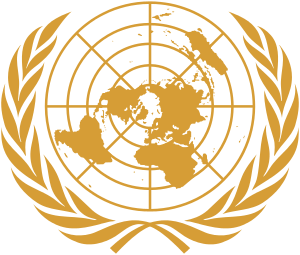 An autonomous body within the UN system, UNITAR is governed by a Board of Trustees whose members are appointed by the UN Secretary-General, and led by the Executive Director, also appointed by the Secretary-General. The Institute is supported by voluntary contributions from governments, intergovernmental organizations, foundations and the private sector. The Institute provides short-term executive training to national and local government officials of UN Member States and civil society representatives from around the world. UNITAR strives to respond to the growing demand from UN Member States, especially the least developed countries, for capacity development in the thematic areas of Strengthen Multilateralism; Promote Economic Development and Social Inclusion; Advance Environmental Sustainability and Green Development; Promote Sustainable Peace; and Research and Technology Applications. Another task of the Institute is to organize knowledge sharing events for the UN Secretary-General, including the annual seminar for Special Representatives of the Secretary-General as well as strategic meetings for UN Departments. UNITAR also spearheads UN inter-agency initiatives such as the one UN Learning platform on Climate Change or the Global Migration Group. UNITAR has training expertise in multilateral diplomacy, conflict prevention and peacemaking, peacekeeping, adaptation to climate change, environmental governance, chemicals and waste management, local governance, international migration, as well as public finance and trade. UNITAR also serves as a research centre for knowledge systems innovation (KSI) and application of satellite imagery to humanitarian, conflict or disaster situations, through UNOSAT, the Operational Satellite Applications Programme. In an increasingly globalized world, where the importance of multilateral dialogue and cooperation is ever growing, the demand from Member States for training and capacity development in the field of multilateral diplomacy is constantly rising. UNITAR supports Member States by transferring knowledge and know-how on the practices, policies and procedures of the multilateral working environment and the United Nations intergovernmental machinery as well as on contemporary diplomacy-related topics. To achieve sustainable growth and development and to attain internationally agreed objectives, developing countries including Least Developed Countries (LDCs) need to fully grasp the implications of current and future challenges. However, many countries are poorly equipped to design, implement and monitor sound development strategies. UNITAR strengthens countries’ capacities to help them achieve their development priorities and translate multilateral norms and decisions into practice. As countries continue to build capacities to overcome environmental challenges and to promote low carbon growth, UNITAR offers unique solutions based on its experience in assessing learning needs, designing tailored learning approaches, and using the latest in instructional design techniques. In order to advance the objective of advancing environmental sustainability, UNITAR works with countries, organizations and UN partners to develop systematic and results-oriented learning strategies and plans. The peaceful resolution of conflict and maintenance of international peace and security are cardinal purposes for which the United Nations was established. This is at the heart of the Organization’s work and continues to be a pressing priority for Member States. To contribute to the realization of this objective, UNITAR designs and conducts training programmes and seminars to deepen the knowledge, strengthen the skills and facilitate knowledge and experience-sharing among its beneficiaries.The Peacekeeping Training Programme (PTP) is the UNITAR department tasked with contributing to the international community’s efforts towards the peaceful resolution of conflicts and the building of lasting peace. This area of work includes most of UNITAR’s research efforts in the areas of technology applications and innovation. UNITAR is home to an advanced centre of excellence for satellite imagery and data analysis (UNOSAT). UNOSAT is a programme developed in co-operation with the European Organization for Nuclear Research (CERN) delivering satellite solutions to relief and development organizations within and outside the UN system. The institute researches also training methodologies and tools to facilitate access to information and knowledge about adult learning principles and instructional design approaches. ↑ "UNITAR Statute" (PDF). UNITAR.